Have been, Arjuna! and of thy births, too! And setting Virtue on her seat again. Theosophy teaches the existence of a Fraternity of Perfected Souls. From its ranks have come to mankind its Savior-Teachers; some with a more exalted mission than others, but each fulfilling the requirements of the cycle for which He undertakes that mission. Some as Divine Kings, others as Holy Mendicants, all come to impress on the whole or a portion of humanity the same sublime truths which form the ancient Wisdom-Religion. Hence we find that underlying every ancient popular religion is the same Wisdom-Doctrine, one and identical, professed and practiced by the Initiates of every country. One body of Universal Teaching in the custody of one Fraternity of Cosmopolitan Philanthrophists — such is the sublime fact which our modern world has forgotten. Among the followers of every religion there exists a genuine and sincere faith in the divine nature of their own particular prophet-savior. On what does this faith rest? On the fact that Divine Men have incarnated to energize and inspire mankind in every age and clime. But that pristine faith degenerates in its outer expression; the adherents of each religion claim a unique position for their own lawgiver, refusing divinity to other instructors of humanity. Priestly cunning has foisted on the credulous the One and Only Son of God, or the One and Only Prophet, or its equivalent. Claims which Krishna or Buddha, Jesus or Muhammed never made for Themselves or Their Teachings, the respective followers made and now make, under priestly guidance, to the debasement of Truth and the detriment of humanity. Theosophists have the duty to deliver mankind from the clutches of organized priesthoods. The first step towards this emancipation is the restoration of the knowledge of old that there exist no special privileges for any soul, nor are there any chosen peoples, but that Divine Instructors are Living Brothers with one aim, one purpose, one teaching, who reached Their stature of perfection by self-redeeming work and who teach all humanity without making distinctions of any kind soever. Passion blinds the fanatic to this truth; he fails to see that the life-incidents and actions of all Teachers are identical, that the story of every Savior from Vishvakarma to Christ is the same. He is taught to believe in special privileges for himself through a belief in the uniqueness of his own prophet. There is hardly a religious institution in the modern world from the Vedic to the Buddhistic, from the Catholic to the Swedenborgian, which does not claim some kind of a unique place for its own particular savior. This erroneous notion is to be traced to the fact that in myths and legends characters like Krishna, Hercules, Pythagoras, Buddha, Jesus, Apollonius, are represented as divinely begotten Saviors. Every one of them, whether at birth or afterwards, is searched for and threatened with death (yet never killed) by an opposing power whether it be called Kansa or Herod, Maya or Mara. They are all tempted, persecuted and finally said to have been murdered at the end of the Rite of Initiation, i.e., in their physical personalities, of which they are supposed to have been rid forever after spiritual birth or resurrection. Then after this allegorical violent death they all descend to the Nether World or Naraka, Hell or Hades to save the souls of the damned; on their triumphant return they have become transformed into Gods. Thus they are given the epithet of Soter (savior). The Roman Christmas, ignorant of the real date of the Christ’s birth, fixed the solemn festival to the 25th December, the Brumalia, or Winter Solstice, when the Pagans annually celebrated the birth of Sol. On this day, also, the birth of Christ was lately fixed at Rome, in order that whilst the heathen were busy with their profane ceremonies, the Christians might perform their holy rites undisturbed. * Milman: History of Christianity, I, 397. And how many Sons of God have been tempted, murdered, even crucified and who resurrected themselves? How many rose from the sepulchre at the Vernal Equinox, celebrated to this day in Persia as Jamshedi-Navroz. Tammuz, Horus, Atys, Memnon, they all were put to death and rose from the dead, and descended to hell to save the sin-imprisoned souls of men. Whence this close similarity so clearly indicative of a universal tradition in connection with the birth, work, and death of all saviors? One of the ways in which the Great Lodge taught infant humanity was to cast in myth or legend form the lives of these Sons of Light. The ancient biographies of the external personalities bearing the names of Great Souls are the mystic records of their public, and parallel therewith of their inner lives, in their characters as Neophytes and Initiates. Hence, the manifest sameness of the means of construction of their respective biographies. However much masked and hidden from profane gaze, the chief features of such lives are common. Narratives of these Mystic Lives are well preserved, as they contain correct keys to several cosmic and human phenomena. 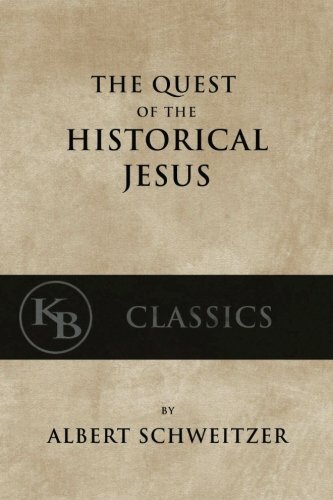 The non-understanding of certain incidents of these ancient mystic biographies has been the cause of the assigning of a unique position to such teachers as Krishna in India or Jesus in Christendom. For a right reading of these Lives we have further to bear in mind that every such god has three biographies in the narrative, so to say, running parallel with each other and each connected with one of the aspects of the God-Savior — historical, astronomical and perfectly mythical, the last serving to connect the other two and smooth away the asperities and discordancies in the narrative, while gathering into one or more symbols the verities of the first two. Localities are made to correspond with astronomical and even with psychic events. Thus arose in the ancient world myths truer than history, for the latter dealt with events on the planes of action, and the former narrated the happenings in the world of Soul. Among such myths was one about the Great Sacrifice of the Master-Soul who renounced his freedom to accept the woes of bodily birth, the self-chosen incarnation of the Lord of Compassion for the sake of Orphan Humanity. The central fact of the mystic life, that every human Soul sacrifices himself and is crucified on the fourfold cross of matter, is but a variant of that same profound truth. This fact the Lodge impressed on the minds of many peoples by spreading in their midst allegorical stories of heroes who are supposed to have gone through experiences similar to that Master-Soul and which every human Ego should emulate. Such experiences were often purposely woven into the lives of local rulers, saints and sages. Hence the birth at winter solstice, the resurrection at spring equinox — astronomical and cosmic factors; and crucifixion on the four-fold cross, descent into hell — psychological and human aspects. The soul of all such history-myths stands unveiled in the writings of H. P. Blavatsky. In studying the teachings of Theosophy in different eras and climes a proper comprehension of this fact provides a key which unlocks many statements which otherwise sound enigmatic — some of them, even absurd. The language of the Soul and therefore the Soul of all languages is — symbols. That language is universal. Like the incarnating Ego in Man it embodies itself in many forms. Religions, philosophies, sciences, all branches of knowledge spring from the Wisdom-Religion, which has for its vehicle this ancient universal language. The Wisdom-Religion or Theosophy is the drama of the unfoldment of the One Life. The springing forth of the many lives from the One Life and the orderly procession of the many as the kingdoms of Nature, till they re-become the One, form the contents of the Record of the Masters, and that is Theosophy. Every stage of that long pilgrimage is described in symbols, and among them, that of the Adept-Teacher whose compassion manifests in practical sacrifice and makes him incarnate in a body of flesh and blood. There is a long line of Divine Incarnations. All religions bear witness to the fact. The occult nature of this mighty phenomenon is so holy and sacred, and withal so difficult of comprehension by the ordinary human intellect, that the truth has ever been cast in symbolic and allegorical forms. Use is made of the law of correspondence and analogy and these Teachers named “Suns of Righteousness.” In our objective universe of matter and false appearances the Sun is the most fitting emblem of the life-giving beneficent Power of the Master of Compassion, who, as a self-luminous Being enlightens humanity by the great sacrifice of incarnation. Divine Incarnations are historical facts. In Their own personalities these Beings embody Pure Truths, They are Wisdom Incarnate, the Word made flesh. Purna-Avataras, Full Incarnations of Wisdom, i.e., Beings who embody the totality of knowledge gained and retained in the Mahatmic Hierarchy, are a recognized occult phenomenon in Theosophy. They are the pure channels of Cyclic Will which finds expression in and through Their corporeal existence. Hence in Them sidereal and cosmic forces manifest on the one hand, as psychological and human on the other. All Solar myths are but different versions of the same natural Primeval Mystery on which the Wisdom-Religion was based and the development of its Adepts subsequently framed. Evolutionary impulse manifests in a sevenfold manner in Nature and in Man: seven cosmic forces unfold seven planets; seven hierarchies of beings beget seven types of humans. On man-bearing globes of our system, Beings who have been men, out of deep compassion and the spirit of sacrifice for their fellows, incarnate to impress the imperishable centre in each man’s heart with the supreme and sublime fact that he, too, can, through purity and knowledge, reach the Divine status. This happened on earth when animal-man became the human being some eighteen million years ago. In collectivity but One Being, such compassionate Beings constituted the Lodge of Mahatmas, to form the nursery for future human adepts on this, our earth, and from this Tree of Wisdom, the Ever-Living-Human-Banyan, sprang in due season the branches known as Kapila, Hermes, Enoch, Orpheus, etc., etc. In its constitution the Lodge is sevenfold. In one of the obscure Sanskrit documents we come across the original of the common Theosophical expression the Great Lodge — Maha-Shala, the Great House, translated in central and western India as the Great School. It is not a place but a collectivity of Beings, whose self-conscious intelligence transcends human comprehension. In that House are lodged seven types of Men, Pure Rays of Light, each but an issue of the Seven Sacred Planets called the Seven Lords — Rishis by the Brahamanas, Ameshaspentas by the Zoroastrians, Arch-Angels by the Christians. Of these Translucent Men it is said that they can no longer err. They appear on earth but at the origin of every new human race and at the junction or close of the two ends of the small and great cycle, and are known as Avatars or Incarnations. Their stay among mortals is exactly the time required, and no more, to impress upon the plastic minds of child-humanity the eternal verities which they embody in their own being, such impress remaining vivid though latent in mankind as “innate ideas.” Here is the true source of the very common belief in revelation, which is not of books read or hymns heard, but of Truths impressed in the Heart of Men. This is done so as to ensure the eternal truths from being utterly lost or forgotten by the forthcoming generations. As a result of this Spiritual Mission, some souls, however few in number, make the supreme effort to follow the noble example set by the Great Sacrifice. In every cycle and race souls have striven to express in thought, word and deed, that Impress made within their Hearts. The successes among such strivers become the Adepts and Initiates; they continue the example set, incarnate among men to instruct and inspire, and do for their younger brethren what was done for themselves. In the course of the spiritual and intellectual evolution of humanity, these Master-Souls taught in parables and in symbols the Primeval Truths. Thus arose myths and sacred dramas, which in course of time degenerated into dogmas and religions. At the very dawn of intellectual humanity were laid the foundation-stones of all the faiths and creeds, of every fane and church built from first to last; and those allegorical foundations still survive. Universal myths, personifications of Powers divine and cosmic, primary and secondary, and historical personages of all the now-existing as well as of extinct religions, are to be found in the Seven Chief Deities and Their correlations. These Seven in Their spiritual collectivity constitute a Supreme Unity, to which can never be offered profane worship. That Supreme Unity casts its radiance on earth and is the Lodge of Mahatmas. There is a principle in our complex being dormant in most men; it is the Impress referred to above. It is the real awakener of the human mind and soul. First by the study of Theosophy and then by enacting in our own lives the actions of the Great Ones, we emancipate ourselves and learn the lesson of Renunciation. Thou residest in the agglomeration of thy divine personages. Thou begettest us, Oh, Thou Unknown, and we greet Thee in worshipping each God Soul which descendeth from Thee and liveth in us.